can fly at all. What about that invisible jet? a breeze or wind current – the powers of a goddess. So, there you have it. 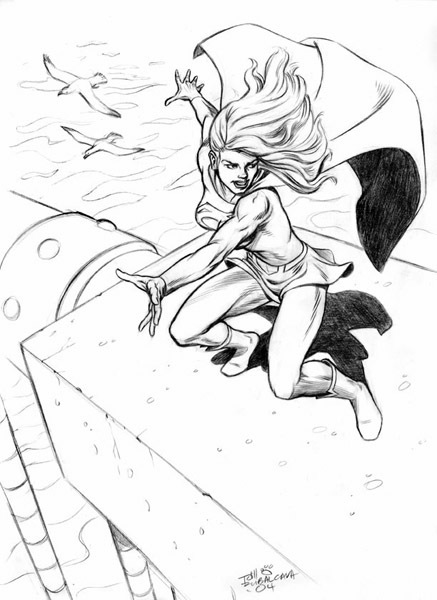 drawing I did a while back of SuperGirl making a landing on a bridge-like structure. the color is just as fresh as the pencil! !